Riviera Cancun keeps me coming back again and again. It offers natural, cultural and ecological wonders that delight me with every new encounter. It’s rare for me to want to visit a place repeatedly. I strongly believe that there is too much out there to return to the same spot over and over again, but I have an exception for this incredible area. 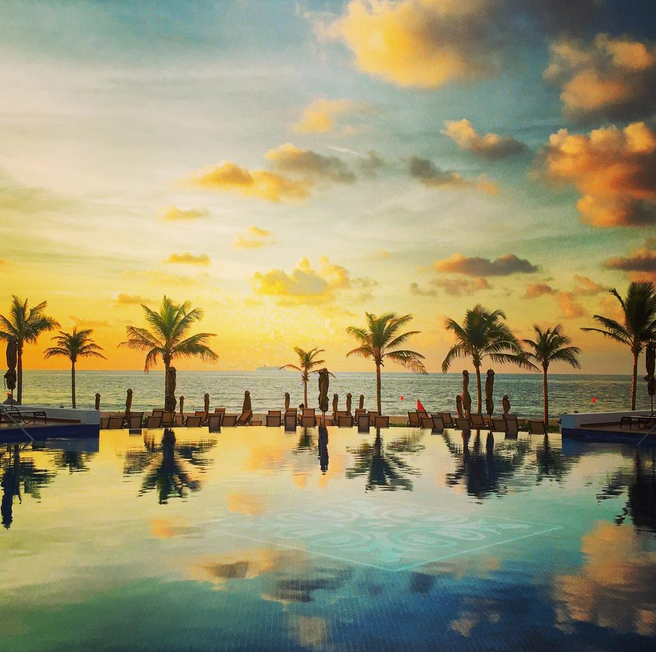 My recent trip was to Grand Residences Riviera Cancun and its extraordinary beauty mesmerized me, but it was the unique indulgences that made an unforgettable vacation. From the tranquil hideaways like the terrace hot tub and the private yacht to the exclusive experiences like tequila tasting and swimming with whale sharks, I was captivated once again by Riviera Cancun. When I walked into my suite, I was greeted with an open, airy living room equipped with two single murphy beds and a dining room. The dining room would be large enough for my entire family and the rich colors filled the room. A bottle of tequila waited for me on the counter with two fresh limes and two shot glasses. (A shot of tequila was a great way to ring in my trip to Mexico.) I rounded the corner of the entryway to the massive, gourmet kitchen with stainless steal appliances and granite counter-tops, a half bathroom and laundry room. Then, I entered the spacious bedroom with a king-sized bed and a single murphy hide-away bed, a full bathroom with hydro-massage tub, rainfall shower, dressing area and duel vanities. I was blown away! You could have one heck of a party at this place. It was the extensive, private terrace with a gigantic soaking tub that truly made my jaw drop. Waiting for the tub to fill was like opening a present on Christmas. The bath salt smells filled the air and the bubbles were like dreamy clouds in the air. I laid in the hot, bubbly tub for over an hour listening to the waves and gazing at stars. The encompassing amenities continued outside of the suite as well. 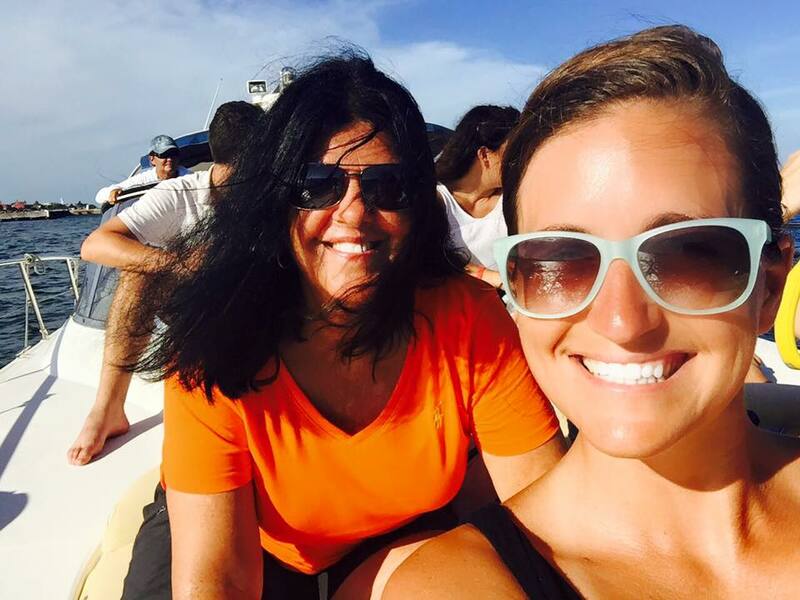 We experienced a private yacht charter that cruised the sparkling Caribbean waters. Our hosts provided unlimited cocktails and snacks while we chatted and relaxed on deck. We were treated like celebrities yet it’s a service offered to all guests. 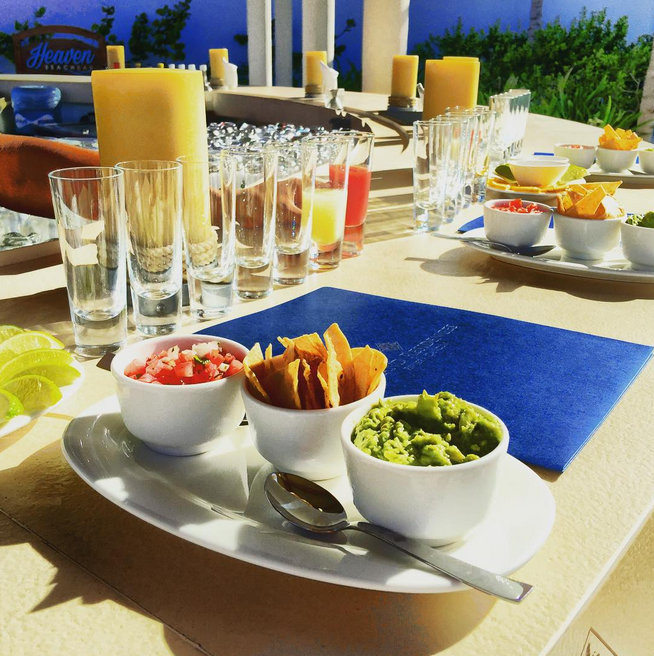 Also offered to guests is tequila tasting at Heaven Beach Bar. We learned about the culture and history of tequila and as I sipped my Blanco and Reposado I gained a new appreciation for its taste. Tequila doesn’t have to be a shooter with the sole purpose of getting hammered; it can be refined and enjoyed slowly. 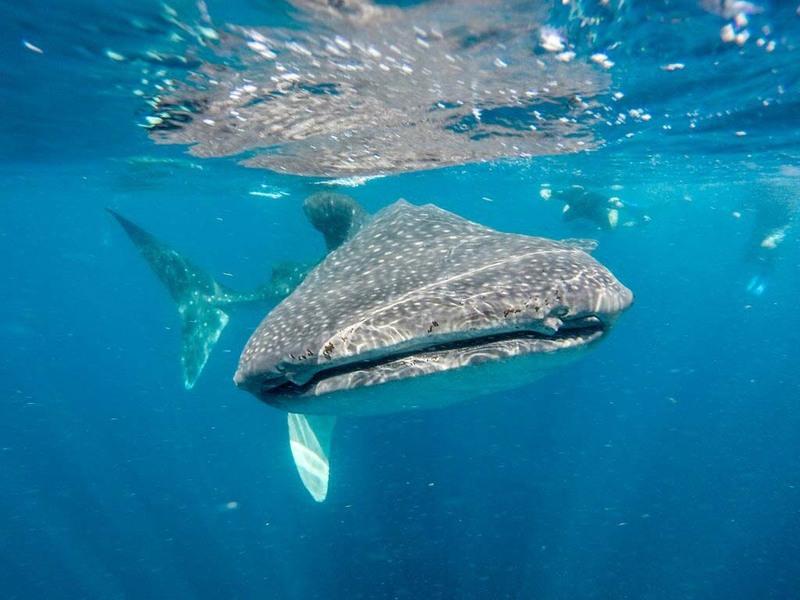 While the experiences were already “grand”, they got even larger with an opportunity to swim with whale sharks in the ocean. My favorite unique experience offered by Grand Residences was swimming with the gentle giants of the sea. It’s difficult to put into words the magnitude of this adventure. Swimming next to something of that size as it gracefully moves through the water is unforgettable. It is engraved into my brain, filling the deep crevices with every detail. The charms of Riviera Cancun engulf me every time I visit the region, but this trip, with its extreme relaxation juxtaposed with extreme adventure, has left me shaking my head in awe. It’s like taking everything I dream about and packaging it all in one neat little box. How can I ever accept ordinary after this? Ahhhhh, I love Cancun! I would love to do something fancy when I go back next year! Was this a press trip? Oh my gosh …… that bathtub!!?!?! Where do I sign up? What a gorgeous place, I can’t help but feel envious; this place is stunning! A private yacht too?! This place must be packed because I’ve never heard of a place that offers such amazing experiences. I might have to sign myself up for a night or two during my next adventures in Cancun, it certainly looks so worth it!! Wow fantastic photos and what a nice experience – the whale sharks are such gentle but gigantic animals! and the bathtub, well who doesn’t like a nice bathtub 🙂 Looks like a great way to experience cancun! Wow! What a grand vacation. So many fancy things to do. I’m not sure I would get out of that tub to enjoy them. 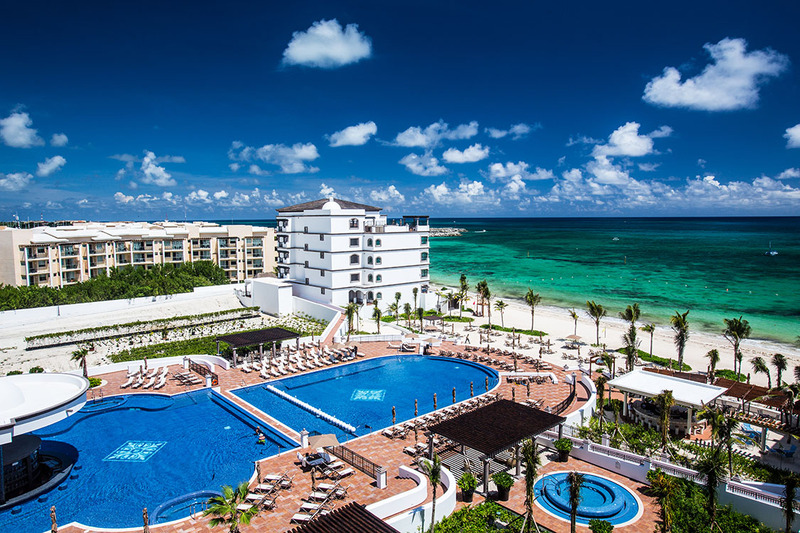 The Grand Residences in Cancun look like a perfect spot to just relax and enjoy all their amazing amenities. 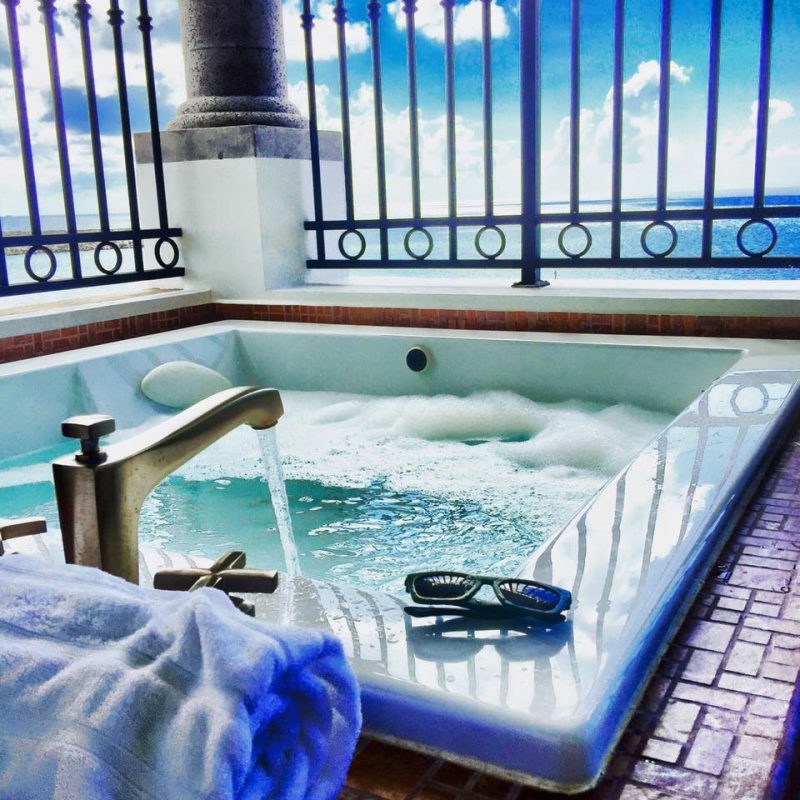 That bathtub though…. I need that in my life! This is what dreams are made of! Great post! You had me at whale shark!! We’ve been holding out to do this in Australia but will actually be passing through Mexico sooner, so I may just add it to our Mexican itinerary instead!!! Awesome to know that the Grand Residences offer the activity from the hotel. This place sounds amazing! I would love to swim with whale sharks–what a fantastic adventure! And that hot tub on the patio would be so nice right about now!! I am bathtub obsessed and finding a great tub in my hotel room is one of my #1 treats. I would adore this tub and I can imagine it would be the perfect relaxing finale to a great day. I’m heading to Riviera Maya in two weeks and I can’t wait. We’ve been to Cancun on several occasions and have stayed in a few of the resorts. I prefer the Playa de Carmen area, it’s much more relaxing and less touristy. I would of enjoyed soaking in that tub for hours with a glass of wine, while looking out into the scenery. That photo of a whale shark is incredible! Was it scary diving with them? I’ve loved some of my own vacations snorkeling with the wildlife, so I’m very jealous of that experience! Where will you be heading next?